Ring of Combat 58 | Lou Neglia's Ring of Combat | Next Generation of Mixed Martial Arts! 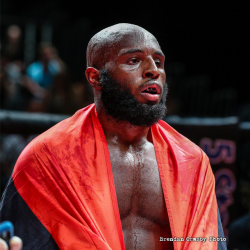 Ring of Combat 58 took place Friday, February, 24th, 2017 inside the Tropicana Atlantic City showroom. Quick results below from all the action! Arce wins via tap due to rear naked choke at 3:59 of round two. 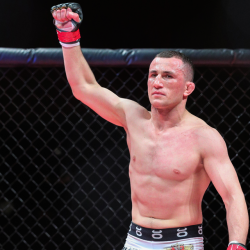 Arce retains featherweight title. Outlaw wins unanimous decision in three rounds, all three judges 30-27. 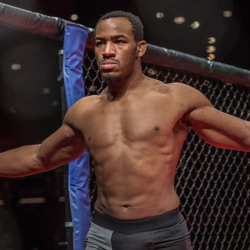 Outlaw wins vacant welterweight title. 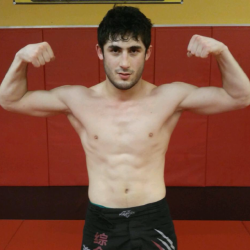 Dvalishvili wins via tap due to armbar at 4:14 of round two. Dvalishvilii wins vacant bantamweight title.